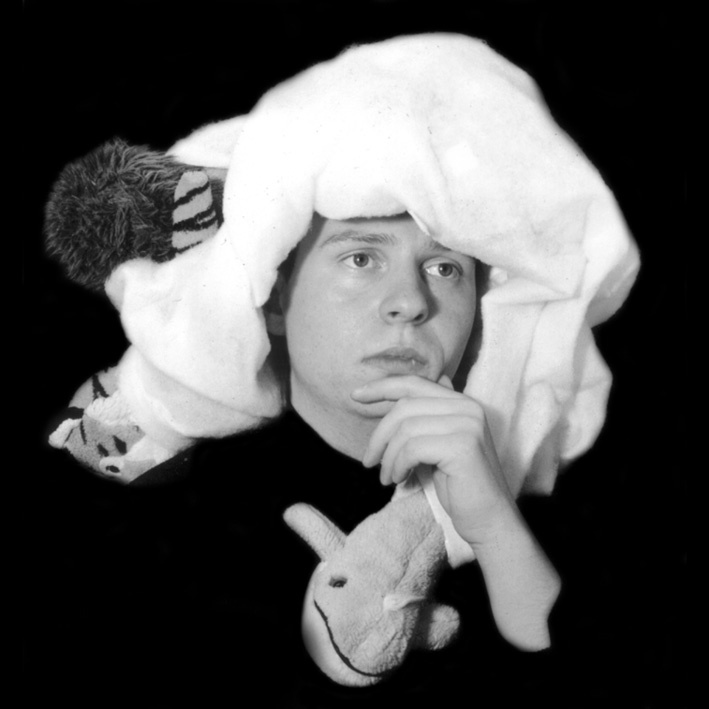 Program: ‘Housing’ several soft toys in a portable ‘dwelling’. Medusa, like the Greek mythological figure, tends to freeze observers. 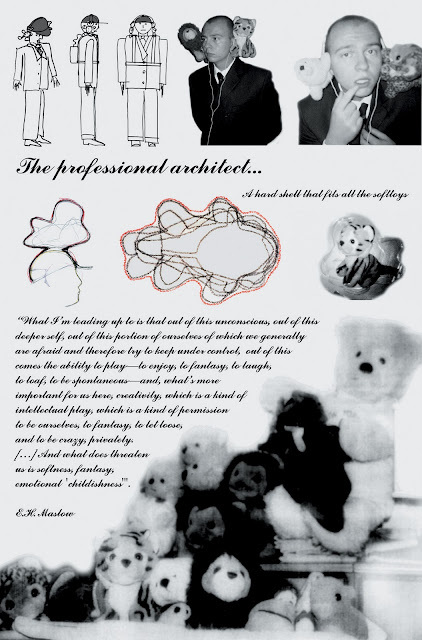 Soft toys as part of architectural design were already introduced in the project BESKING. Here, the soft toys are wrapped into a soft blanket that with a grid of Velcro tape can be folded in all possible ways. The blanket is then velcroed onto the architect’s shaved head. The resulting friendly wig resembles a Baroque hairstyle, and introduces the notion of ornament into the work. 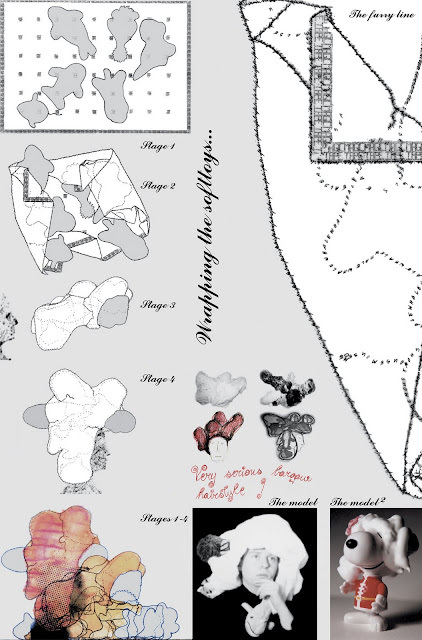 In the drawings, the fragmentation of the line into a written text conveys the notion of softness and chorography, and endeavors to comment on empty surface architecture and the hard-lined attitude of digital folds and triangulations. It presents the soft toys and their cuteness and softness as part of an architectural thesis and conviction that promotes playfulness and facilitation of the designer’s internal agenda.